Last week, we found that to understand God's curses at the end of the Torah, we have to follow a trail all the way back, to Creation, and the Garden of Eden. In this pre-rosh Hashanah episode, Rabbi Dr Riskin speaks about the role each of us play in the chain of Jewish tradition. On Rosh Hashanah all pass before the Supernal Being: the living and the dead. 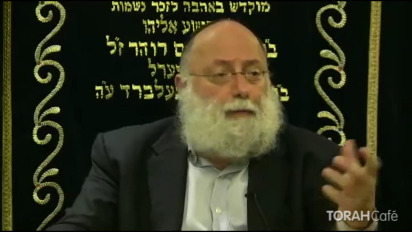 The deeds of our parents and grandparents that have shaped our Judaism as well as our parenting of our children and grandchildren that shape future generations. A child can break a twig, but a bundle of twigs can resist the strongest man. 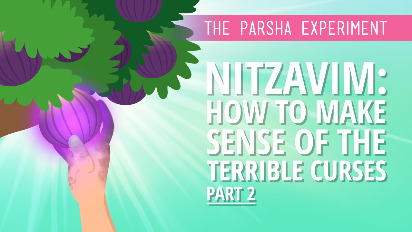 Parshas Netzavim, read before Rosh Hashana, is about unity. Rabbi Avrohom Bergstein emphasizes the strength in numbers, where everyone recognizes the virtue and quality of the others. Even the unity of idol worshipers can be appreciated by G-d.